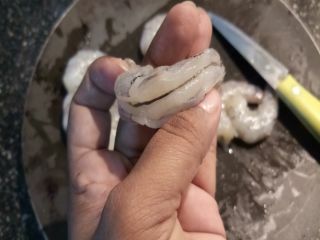 1- Blanch or de-vein the prawns (first remove the head then holding the prawn and peel off shell from the body, backside up and use a knife and running it along the vein and remove the vein). 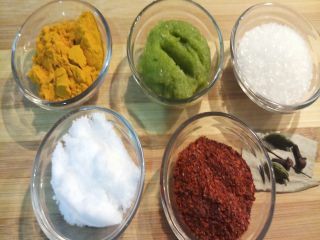 2-Marinate with turmeric powder, garlic paste and salt. 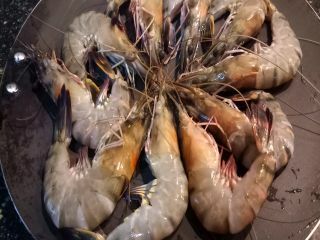 Keep 1/2 an hours in freeze. 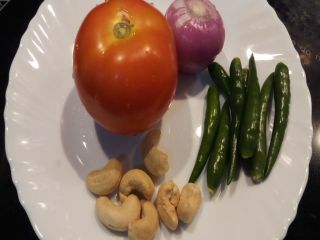 3- combine all ingredients(onion, green chili, cashewnuts, tomato) along with 1 cup of water in a deep non stick pan and boiled on a medium flame for 8-10 minutes. Allow the mixture cool completely. Once cooled blend in a mixer till smooth. 4- Heat oil in a pan on medium flame. 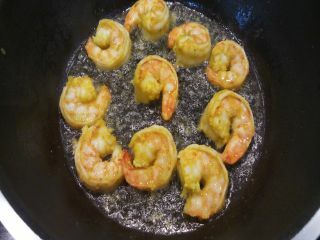 Once hot add marinated prawns and fry 1 minute (if overcooked prawn can be chew) and keep them aside in a bowl. 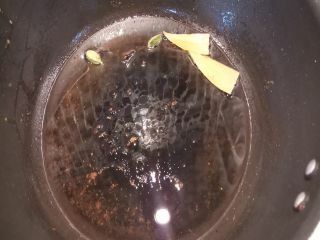 5-In a same pan add remaining oil, add bay leaf, green cardamom and cloves. Stir one minute. 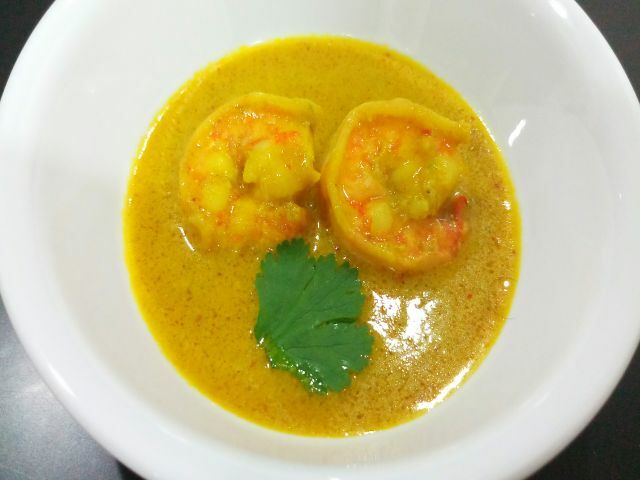 6- Add onion-tomato-ginger-garlic-green chili paste and stir 1 minute add turmeric powder, red chili powder and mix well. Fry them on medium heat till the oil separates. 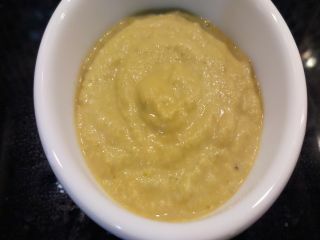 7- Add clarified butter, sugar and salt and mix well. 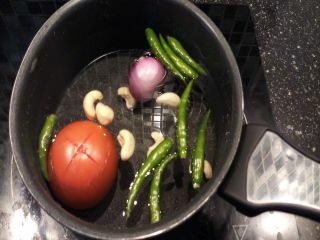 After few minutes add water and let the spices and coconut milk come to boil. 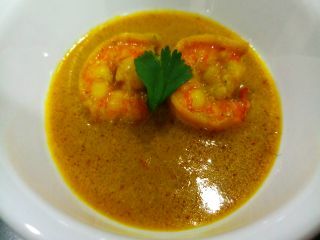 8- After a boil add prawns and coconut milk and mix well, add green chili and cook 5 minutes on medium heat. 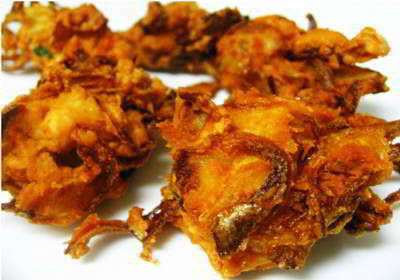 9- Switch off flame and serve hot with white rice or Chapati. 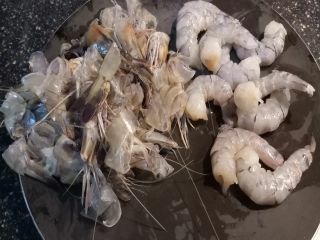 Blanch or de-vein the prawns (first remove the head then holding the prawn and peel off shell from the body, backside up and use a knife and running it along the vein and remove the vein) and marinate with turmeric powder, garlic paste and salt. Keep ½ an hours in freeze. combine all ingredients(onion, green chili, cashewnuts, tomato) along with 1 cup of water in a deep non stick pan and boiled on a medium flame for 8-10 minutes. Allow the mixture cool completely. Once cooled blend in a mixer till smooth. Heat oil in a pan on medium flame. 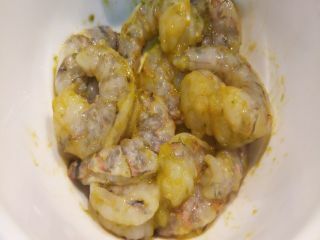 Once hot add marinated prawns and fry 1 minute (if overcooked prawn can be chew) and keep them aside in a bowl. 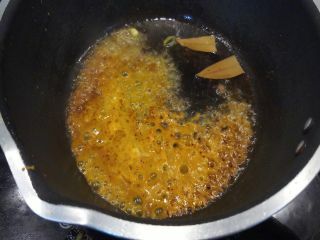 In a same pan add remaining oil, add bay leaf, green cardamom and cloves. Stir one minute. 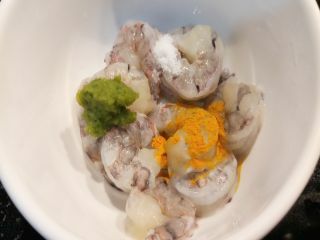 Add onion-tomato-ginger-garlic-green chili paste and stir 1 minute add turmeric powder, red chili powder and mix well. Fry them on medium heat till the oil separates. Add clarified butter, sugar and salt and mix well. 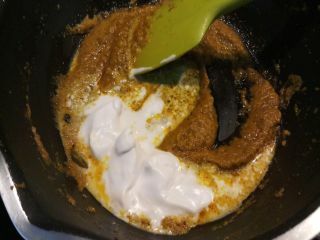 After few minutes add water and let the spices and coconut milk come to boil. 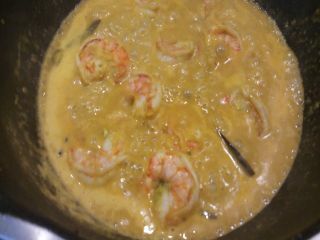 After a boil add prawns and coconut milk and mix well, add green chili and cook 5 minutes on medium heat. 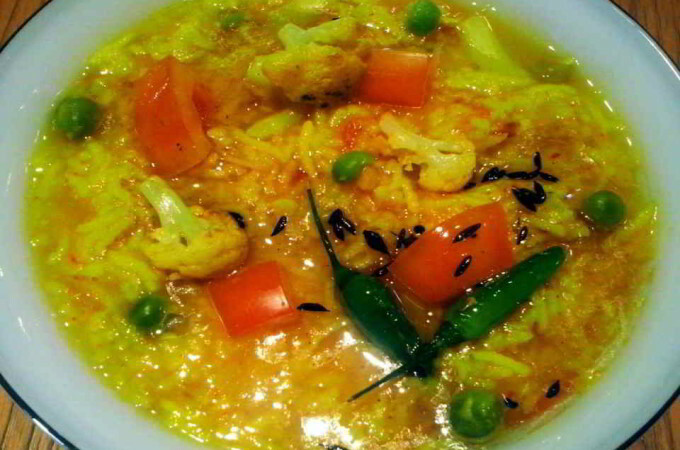 Switch off flame and serve hot with white rice or Chapati.